Thank you to the more than 240 California manufacturers and institutions that opened their doors last Friday for National Manufacturing Day (#MFGDay18). The number of events in California continues to grow each year and we're proud our members are stepping up to show off the state's manufacturing chops. CMTA attended a few of the events and we are compiling pictures and summaries from many events around the state to share with you. 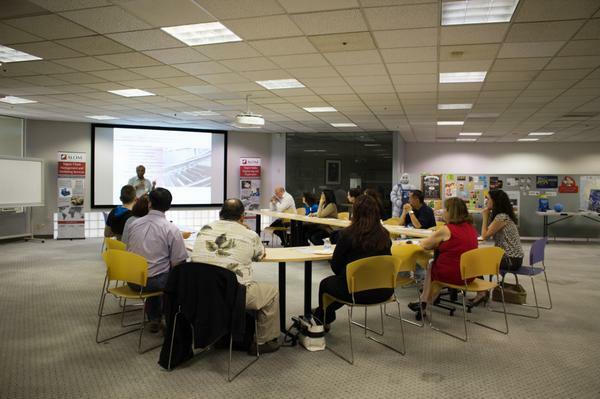 If you would like a picture or comment to be included from one of your own events please email to tkent@cmta.net. The seventh annual Manufacturing Day drew nearly 3,000 events across the country. Thousands of students, parents, and teachers learned about the rewarding careers that manufacturing offers, and experienced first-hand about the high-tech innovations in 21st century manufacturing. Manufacturing Day occurs on the first friday of every October and it is a celebration of modern manufacturing meant to inspire the next generation of manufacturers. It is an incredible opportunity to showcase the amazing work manufacturers do on a daily basis and to educate students, community members, media and policymakers on how integral manufacturing is to the local, national and global economy. Manufacturing Day expands knowledge and improves public perception about manufacturing by giving manufacturers an opportunity to open their doors and show, in a coordinated effort, what manufacturing really is. Visit www.mfgday.com to learn more. Manufacturers across the country opened their doors on Oct. 3 to the public for National Manufacturing Day. 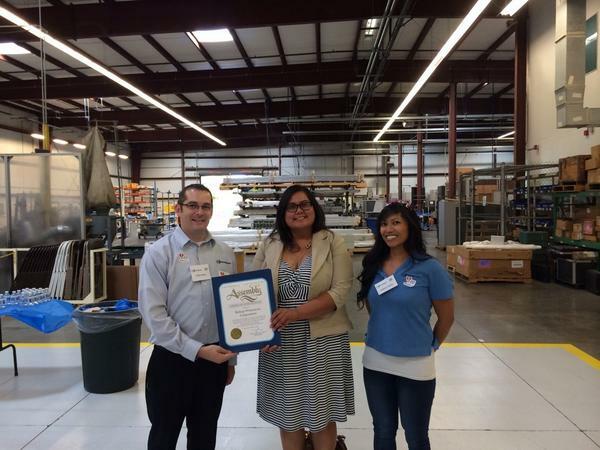 More than 140 of California’s best-in-the-world manufacturers and educational establishments rolled out the welcome mat to show off their impressive processes, employees, manufacturing laboratories, and products. In addition CMTA asked participating manufacturers to tweet their coolest photo. Our winner is Bayer Corporation from Berkeley, who posted a photo of their biotech manufacturing facility (pictured to the right). Other great photos came from California companies such as Scandic Springs, Vista Metals, Bishop-Wisecarver, Ghirardelli Chocolate and MetroED. You can see some of the photos at the double twitter hashtag #MFGday #CA and the links in the list below. The whole country got involved with 1,601 events. We thank the following California companies for hosting events and particularly for tweeting such great photos. Manufacturing Day is tomorrow! Don't forget to use double hashtag #CA#MFGday. We need the participation and support of manufacturers, students and teachers to help inspire a new generation of manufacturers and connect with communities by doing the following. 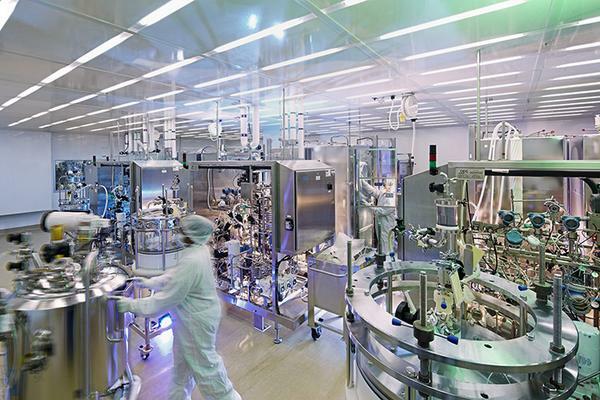 Tweet your best facility photo with the double hashtag #CA #MFGday. We will announce our winner to statewide media again this year and your company will be considered for recognition as one of CMTA’s next Champions of Manufacturing. Tweet your best course photo with the double hashtag #CActe #MFGday. We will announce course winner to statewide media. 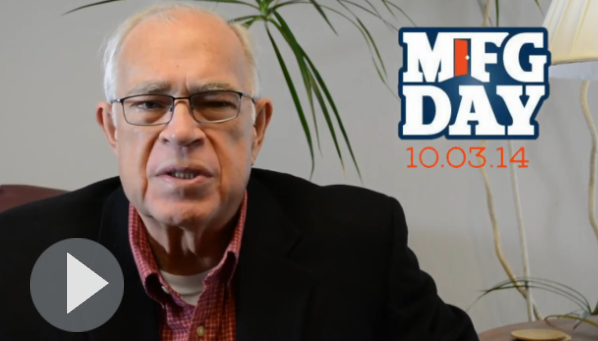 Please take a moment to watch an important MFG Day message from Jack Stewart, the president of CMTA.